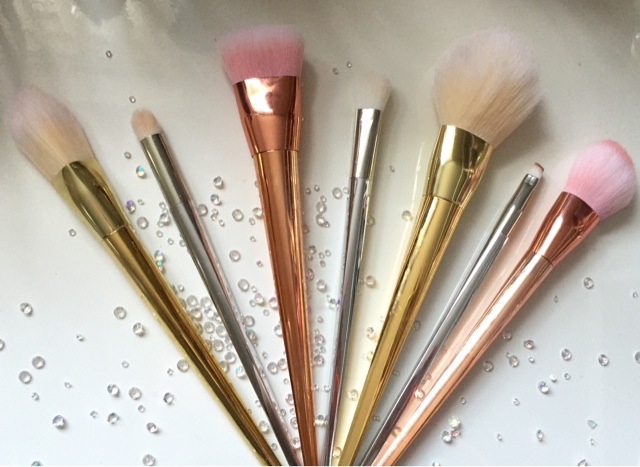 An obvious replica of the Real Techniques Precious Metal brushes and at first glance the only difference is that these don't have RT stamped on the side. The design, the colours, the shapes are exactly the same! I've never used the real Real Techniques ones but I'd have to say if I spent £30 or more on these I'd be hugely disappointed. Having only spent a fiver I'm really chuffed. 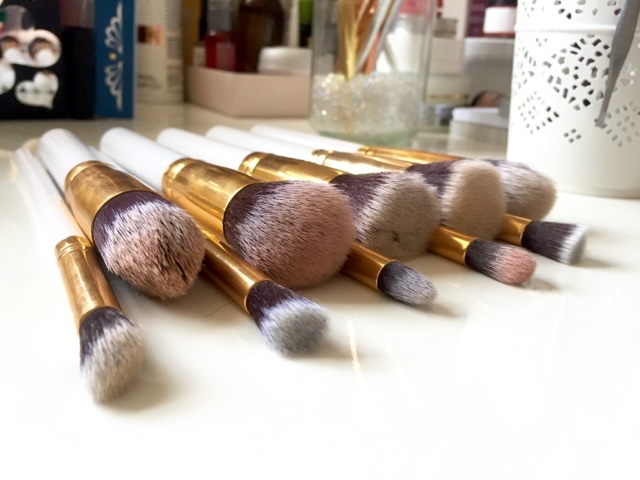 The larger brushes are good for powders work. 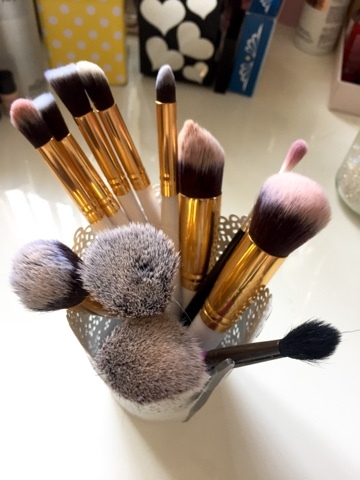 Of the smaller brushes I've found a great brush for doing my eyebrows and a lovely brush for applying concealer (although I do use an additional blending brush/sponge). 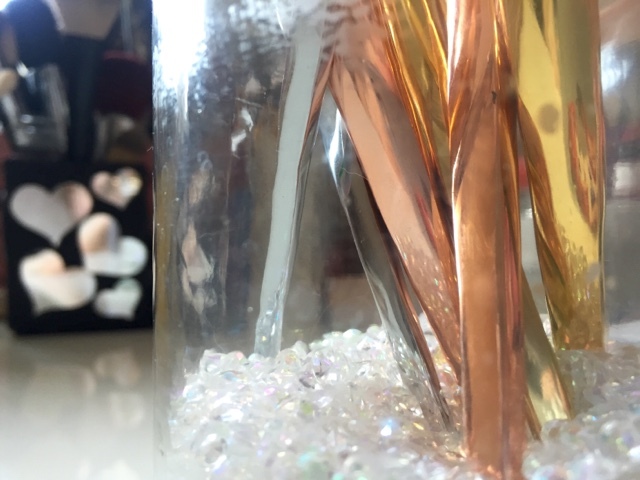 These are pretty and they do have their uses but they are not detail brushes. If you're looking precision application then these are not the ones but then I'm not entirely sure the originals would be either. 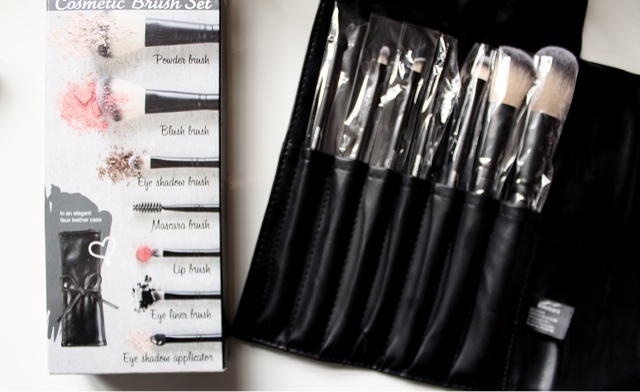 This Kabuki set is reminiscent of several different brush brands out there at the moment so I wouldn't say its ripping off any particular one of them as the previous set does. 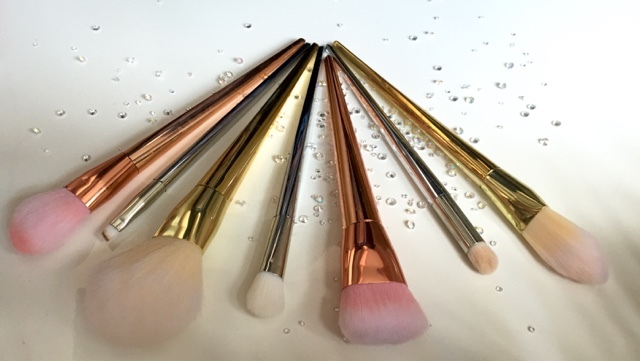 They are a short handled set so are great for sticking in your makeup bag or using for travel. 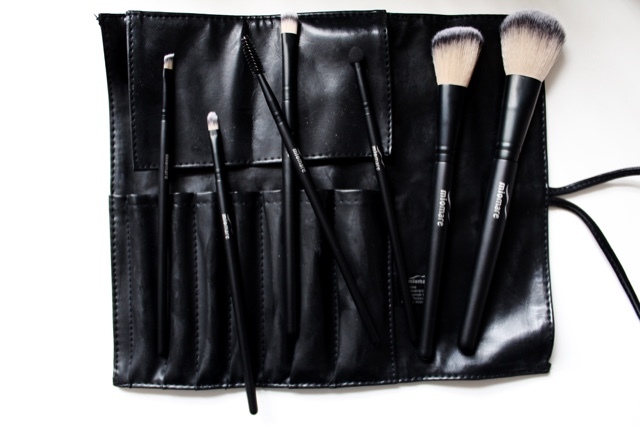 When it comes to the uses they are all quite similar with the exception of a very densely packed tapered face brush. I've been experimenting using them with both cream and powders and so far I prefer their cream uses (foundation, contour, concealing, etc), you don't lose too much product in the bristles and they're super soft so you can get stuck in to blend those scary cream blushes without worrying about hurting yourself. I'm also trying to get the hang of using kabuki style eye brushes. It's not something I've used before and it's interesting. The great thing about these is their versatility. You really can use them for whatever you prefer. The thing I love about Lidl is that not only do you get economy but you also get quality. The thing that bugs me is that unless you stalk the shops on delivery day every Thursday you are likely to miss out on the gem items. I almost missed out on these Mio Mare brushes but it was thanks to a friend who picked up the very last set in her nearest store and sent them down to me that I have them. 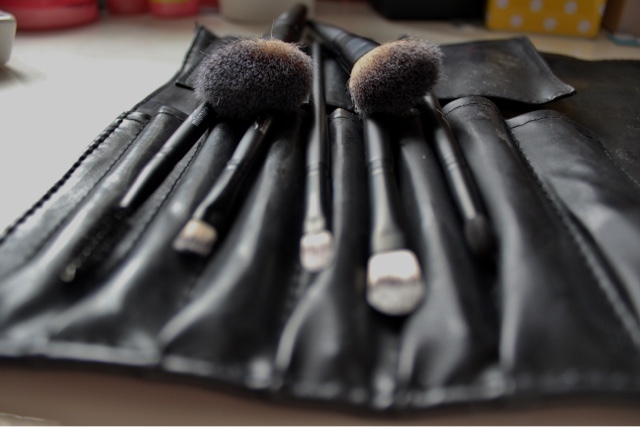 Why am I telling you about a brush set that you can't buy? Because you need to keep an eye out for when they bring them back! 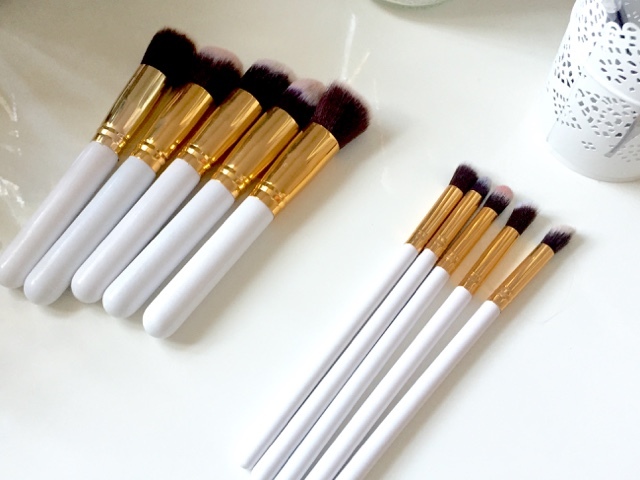 The brushes are soft and workable. And although you are told what to use the smaller flat brushes for, you can use them for whatever you like. 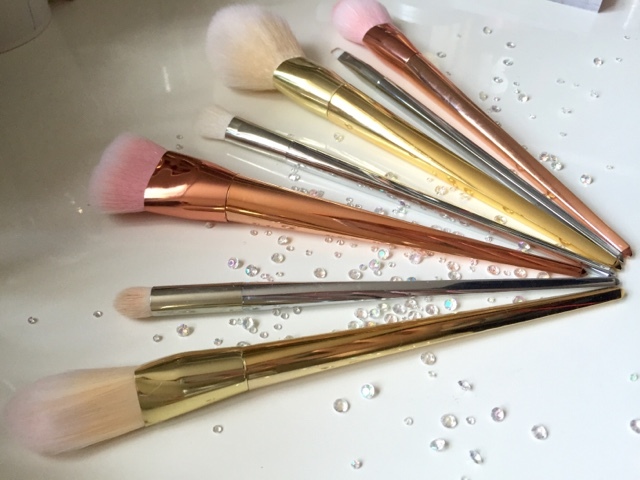 I've been using them a detail cream brushes for concealing and colour correcting. The pouch is also very handy for travel.